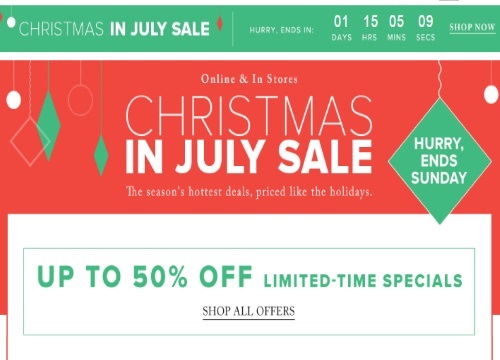 Hudson's Bay Christmas in July promotion ends on Sunday! Be sure to shop this season's best deals priced like the holidays, before it's all over! Save up to 50% off limited-time specials.